When you go through something that traumatic . . . 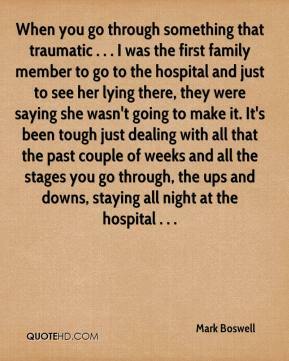 I was the first family member to go to the hospital and just to see her lying there, they were saying she wasn't going to make it. It's been tough just dealing with all that the past couple of weeks and all the stages you go through, the ups and downs, staying all night at the hospital . . . 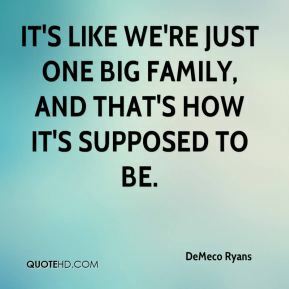 The hardest part is leaving my family behind for so long. 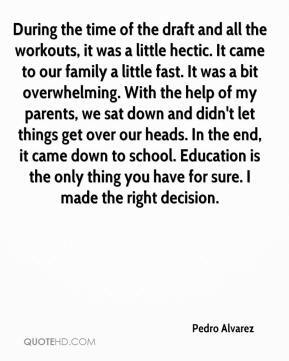 During the time of the draft and all the workouts, it was a little hectic. It came to our family a little fast. It was a bit overwhelming. 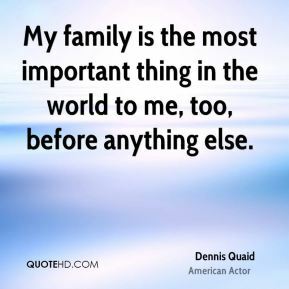 With the help of my parents, we sat down and didn't let things get over our heads. In the end, it came down to school. Education is the only thing you have for sure. I made the right decision. She's very family-oriented. She's basically a happy kid, a good kid. She's fun; she's funny; she's smart as a whip. I'm very worried about her. 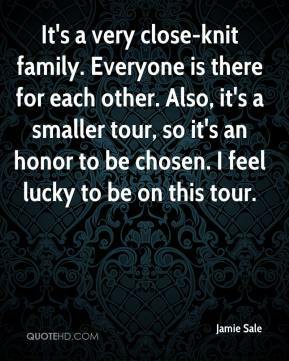 It's like we're just one big family, and that's how it's supposed to be. 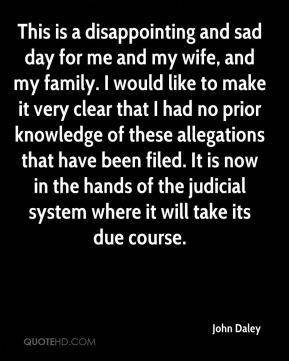 This is a disappointing and sad day for me and my wife, and my family. 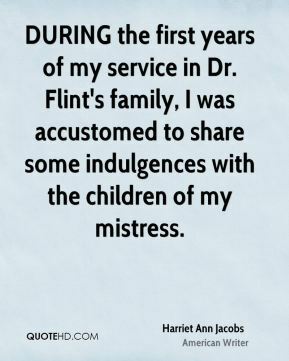 I would like to make it very clear that I had no prior knowledge of these allegations that have been filed. It is now in the hands of the judicial system where it will take its due course. I want a better future, for my family, my dad. And for me. This happens more often than you would want to know. 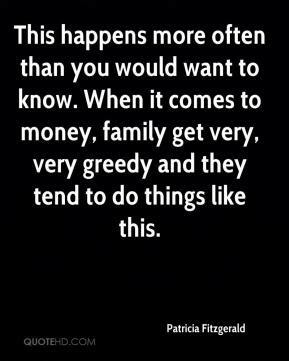 When it comes to money, family get very, very greedy and they tend to do things like this. 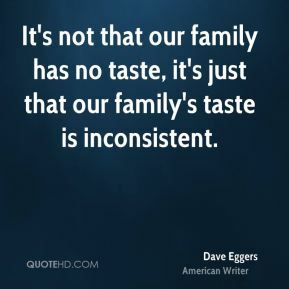 My family doesn't like the distance. They can't visit me, and I cannot immediately visit them. 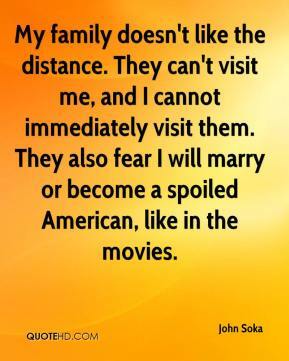 They also fear I will marry or become a spoiled American, like in the movies. 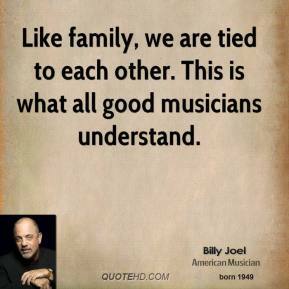 He taught us that family and friends are gifts to be treasured. 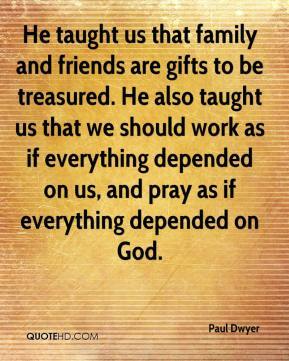 He also taught us that we should work as if everything depended on us, and pray as if everything depended on God. 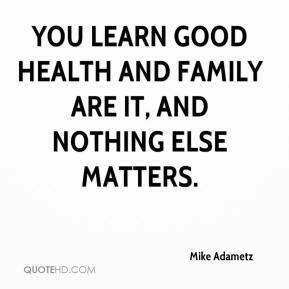 You learn good health and family are it, and nothing else matters. 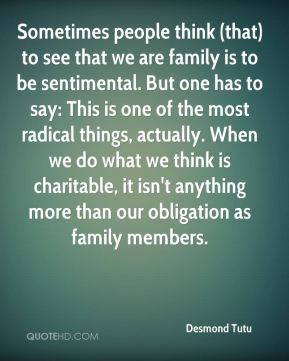 I have family and friends who have been there for me and I would not take a million bucks for their love and support. I didn't have time to sell the house. My family didn't get to move here. 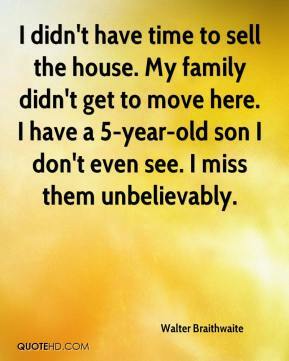 I have a 5-year-old son I don't even see. I miss them unbelievably. 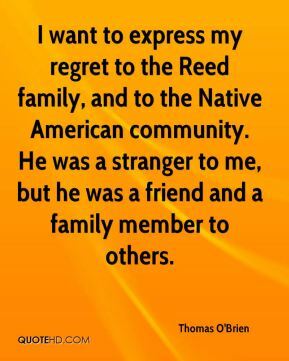 I want to express my regret to the Reed family, and to the Native American community. He was a stranger to me, but he was a friend and a family member to others. It's such a simple meal. 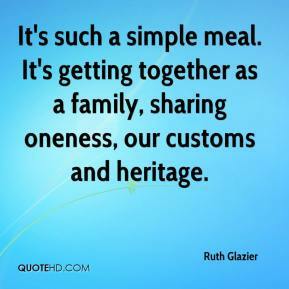 It's getting together as a family, sharing oneness, our customs and heritage. 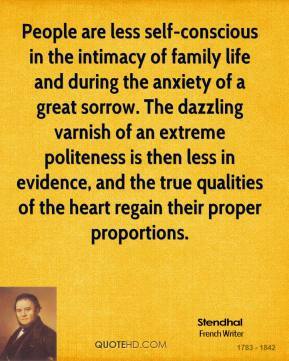 People are less self-conscious in the intimacy of family life and during the anxiety of a great sorrow. The dazzling varnish of an extreme politeness is then less in evidence, and the true qualities of the heart regain their proper proportions. 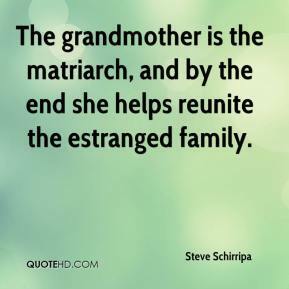 The grandmother is the matriarch, and by the end she helps reunite the estranged family. 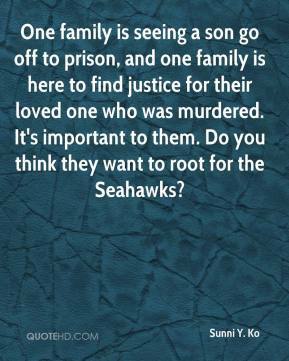 One family is seeing a son go off to prison, and one family is here to find justice for their loved one who was murdered. It's important to them. Do you think they want to root for the Seahawks?